In this blog we will look at the pros and cons of CBT, psychoanalytic and psychodynamic therapy, person centered and mindfulness based therapy and explore which might be the best for you. So, you’ve decided to try psychological therapy or counselling, but where do you start? With so many options available it can be hard to know what is best. In the first of this “which therapy?” series we discuss some of the most common psychological therapies available, that are suitable for almost any psychological problem. Psychological therapy is an umbrella term referring to any form of non-pharmacological treatment for mental distress. Traditionally, it was used to refer to Freud’s technique of psychoanalysis, but today there are many, many different types of help available. Counselling, psychotherapy, psychoanalysis and psychology are all terms that can be used to describe psychological therapy. One of the most talked about psychological therapies is Cognitive Behavioural Therapy (CBT). CBT works on the theory that the way we feel about an event is often caused by our interpretation of the event, rather than the event itself. According to CBT, thoughts, emotions, bodily sensations and behaviour are all interrelated. As such, changing the way we think about things can change the way we feel, both in the mind and in the body. CBT is often a short-term therapy, meaning you may attend 6- 16 sessions. It generally begins with a focus on here-and-now concerns. You will likely work with your therapist on an unwanted thought, feeling or behaviour, to investigate what makes it occur, what keeps it going, and how it can be changed. For example, you might be asked to consider the evidence for and against a certain belief that you hold, or to work gradually towards exposing yourself to a feared situation. CBT dates from the 1960s, and is supported by a wide evidence base across a broad array of psychological conditions. It is widely available, both on the NHS and privately. CBT can be offered individually or in groups, face-to-face or online. Treatment is recommended to last for 12-16 sessions, usually once per week, and you may be asked to complete ‘homework’ assignments in-between sessions. The assignments are not testing your knowledge, though: rather, they are asking you to put into practice some of the ideas discussed in your session. CBT is great for people who have a phobia, anxiety disorder such as OCD, for those who are more comfortable working on their thought process or those who are new to therapy and worry that a longer term course of therapy is too big a commitment. CBT isn’t necessarily the best solution for those who have deep rooted or early trauma, those who have experienced abuse, those who feel they want to explore their emotions in depth or for those who cannot commit to the homework element – perhaps because their life is quite chaotic or they simply don’t ‘work that way’. Probably the oldest form of psychological therapy practiced in Western cultures, this approach derives from the work of Freud in the early 1900s. Therapies in this tradition aim to help participants to understand themselves and their relationship with others, and the world around them, often at the deepest levels of awareness. According to this model, psychological distress roots from over-use of psychological ‘defence mechanisms’, which prevent us from recognizing our true thoughts or emotions. Well-known defence mechanisms include denial and repression, where unpleasant thoughts or experiences are buried deep in the unconscious mind. Classic psychoanalytical retrieval techniques include dream analysis and free association, devised to help access these hard-to-reach unconscious thoughts and feelings. Bringing these experiences into conscious awareness is thought to be a highly cathartic healing experience. Therapists will invite you to speak on any topic of your choosing, and will then work with you to help you reach a deeper level of understanding around any problems you wish to explore. Note that therapists from this tradition are generally highly boundaried, and will not disclose information about themselves to you. Whilst at first this may seem unnatural, this is one of the most powerful things about psychoanalytic/psychodynamic therapy, as it ensures that therapy sessions are entirely about you. Whilst often conflated, the terms psychoanalysis and psychodynamic therapy are subtly different. Psychoanalysis usually denotes a long-term therapy, often asking for a commitment to three or more sessions per week, over a period of years. As such it can become very expensive, and is rarely available on the NHS. Psychodynamic therapy uses similar techniques but over a time-limited period, usually asking for a weekly commitment for 12-16 sessions, though many people do stay in therapy for a year or so. Again, sessions are available one-to-one, for couples, or in groups. Psychoanalysis is not the right choice for everyone and the time commitment – 2 or 3 times a week (some people even attend therapy daily) can be prohibitive in terms of time and money. However, this type of therapy can be life transformative – it offers a completely unique way of getting to know yourself and at the right time, can be incredibly healing for those who have experienced early trauma. Psychodynamic therapy is great for people who like to think deeply about their experiences and are happy to remain in therapy for a few months, even a year or so. It offers a very in depth way of working and can really help those who want to explore their relationship to themselves and others in depth. Today, almost all therapies are person-centered, in the sense that they place the individual accessing therapy at the core of the therapeutic goals and methods. However, person-centered therapy, as conceived by Carl Rogers, goes beyond these general principles, being entirely non-directive. In the 1940s, this was an entirely new way of working, and remains unusual to this day. According to person-centered therapy, every individual has the solutions to their own problem. In short, you are the expert of your own life. 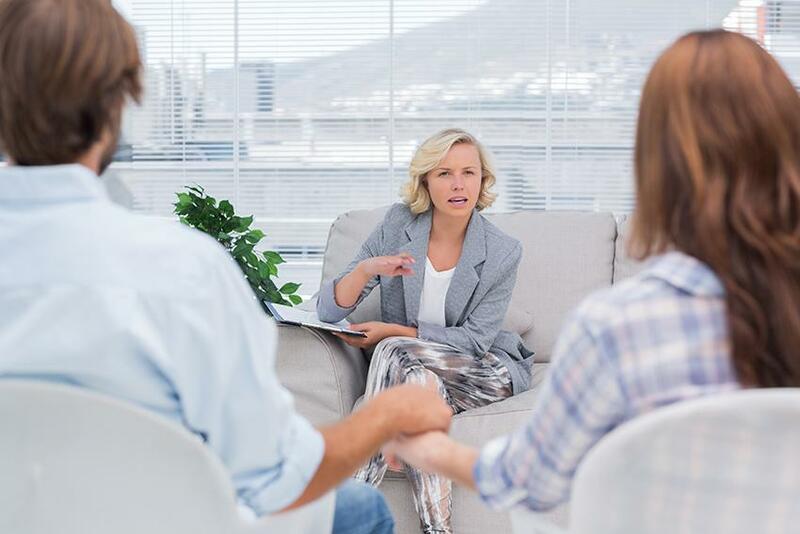 The role of the therapist, then, is to enable the client to trust their ability to make decisions and reach understandings about difficult situations. 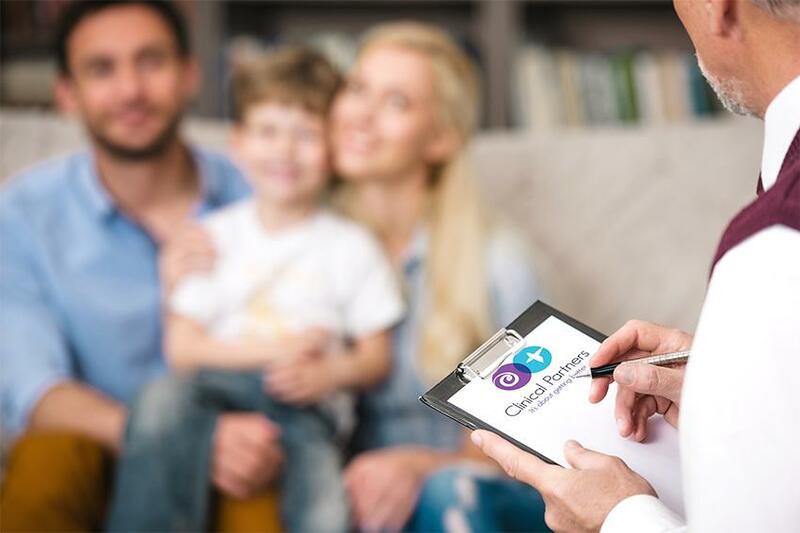 Person-centered therapists offer unconditional positive regard as the cornerstone of their approach: they believe that everyone is inherently good, and regardless of what you disclose, they will meet you with acceptance and compassion. Like psychodynamic psychotherapy, person-centered therapy sessions offer a space to talk about whatever you choose. The difference is that a person-centered therapist will not offer interpretations of your difficulties, and may disclose some of their own experiences if they feel it to be helpful. They will reflect what you say to emphasise or clarify it, but this is done non-judgementally and is not a way of communicating an ‘expert’ opinion. In its purest form, person-centered therapy is not time-limited: the number of sessions offered will be tailored to the individual need of the client. In reality, however, there may be time constraints if you are accessing a particularly busy service. To put the client completely at the centre of sessions, they are almost always offered on a one-to-one, face-to-face basis. Is person centered therapy right for me? The pros of this approach is perhaps the quality of the relationship you will have with the therapist or counsellor. Being ‘held’ (the term used to describe how a therapist can contain all the things you tell them, no matter how terrible or upsetting they are to you) by someone who won’t judge you, won’t be disgusted or appalled, can be a completely unique experience. However, for some, the lack of direction the therapist offers you and the fact that you are in control of the sessions, can be frustrating. If you are looking for someone to tell you the answers, this might not be the right type of therapy for you. Mindfulness has risen in popularity over recent years, with advocates such as Ruby Wax and Oprah Winfrey. However, it stems from a very ancient Eastern tradition of meditation. According to Jon Kabat-Zinn, whose research has given credibility to (secular) mindfulness based psychological therapies, mindfulness is “paying attention in a particular way; on purpose, in the present and non-judgementally”1. In essence, mindfulness training is about developing awareness of internal experiences, and learning to greet them with curiosity and kindness. Often, we respond to situations automatically. Mindfulness asks us to consider whether our automatic response is helpful in each unique situation in which it occurs. In this way, it is possible to challenge well-established habits, and cultivate more helpful ones. By re-training our attention we can decide when it is an appropriate time to engage with feelings of anger, worry or sorrow, and when those feelings are unhelpful: it is all about taking back control. Mindfulness practice has been shown to actually ‘rewire’ the way our brains work; through practice we can create new neural pathways which allow us to feel less anxious and depressed. Mindfulness is about developing a new attitude to thinking, and it can be challenging to begin with. The therapy will be a mix of talking about the issues that are concerning you and then understanding and practicing how being ‘mindful’ of them can help you overcome these difficulties. It takes time and patience to train our brains to think about things differently, which is why most mindfulness therapists will ask you to practice meditating in-between sessions; ideally 30 minutes per day. Your therapist will help you to understand how to go about this, but if you feel that you will be unable to commit to your own practice regularly then you may wish to consider an alternative therapeutic approach. Mindfulness is a very flexible therapy. It can be offered as a distinct therapy, or as a tool in a more ‘integrative’ therapeutic approach. Most practitioners offer it as weekly sessions, either individually or in groups. A lot of people who practice mindfulness say it is life transforming and are amazed that something so ‘simple’ can truly make them feel better. However, it isn’t as easy as it sounds – when we are so used to having such busy, occupied minds, to still them can be truly difficult and even terrifying. You need to be able to commit to the practice for it to take effect. For those who have a lot of unresolved feelings or want to understand their worries and concerns in depth, mindfulness based therapy may not be the best place to start. The advantage of this technique is that it is a skill set that once mastered can be used on a daily basis whenever and wherever it is needed. If you would like psychological therapy and need help deciding which therapy you are best suited to, call our knowledgeable triage team on 0203 326 9160. 1 Kabat-Zinn, J. (1994). Wherever you go, there you are. New York: Hyperion.